I've been waiting months for strawberry season, and here it is! 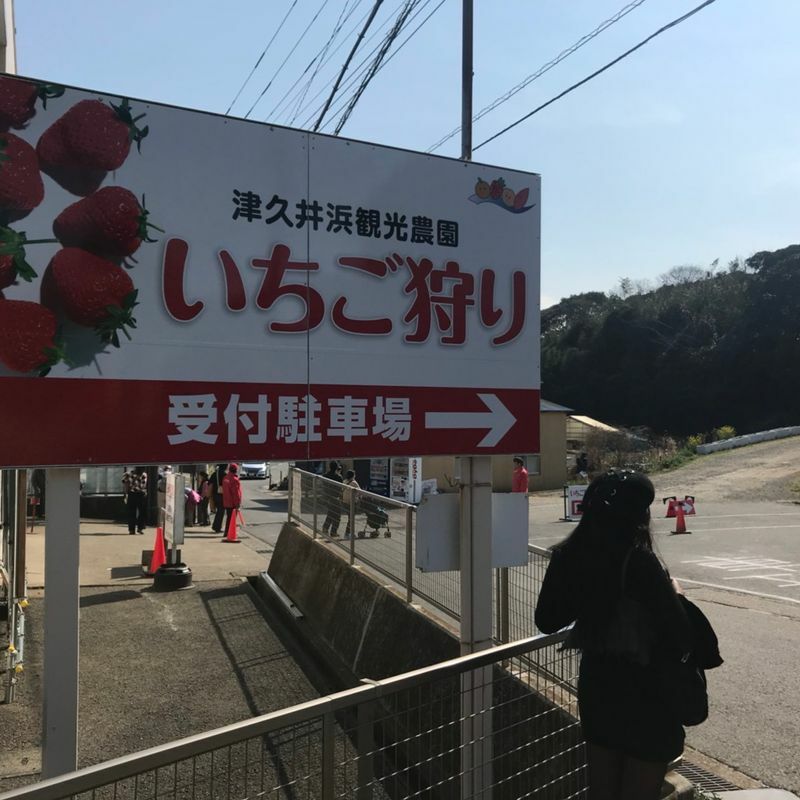 I finally went strawberry picking "ichigogari" this past weekend in Yokosuka, near Tokyo, with some friends. 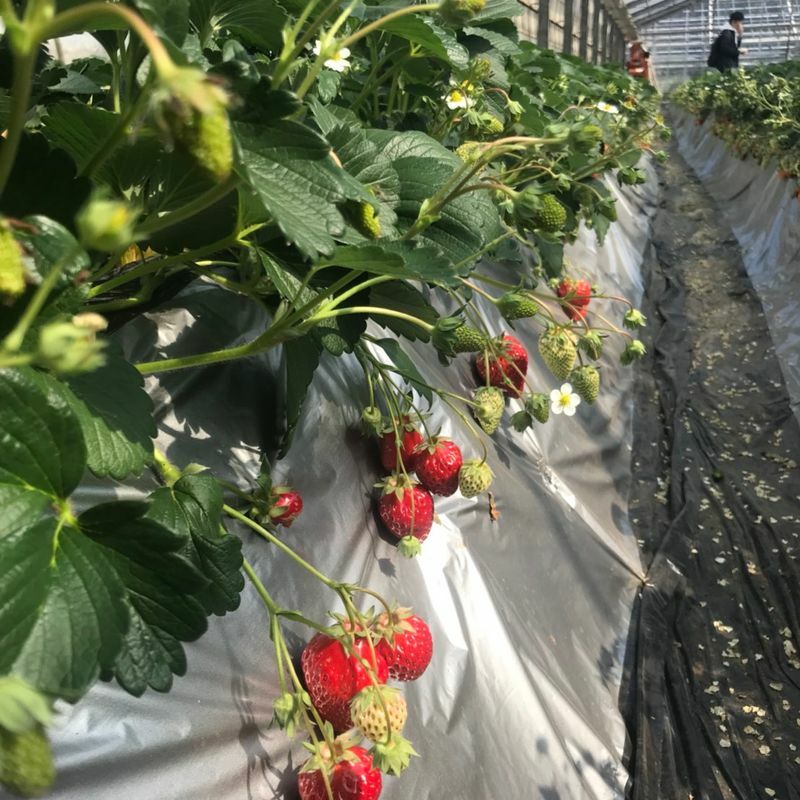 The season for strawberry picking in this part of Japan starts in January and runs until as late as May! 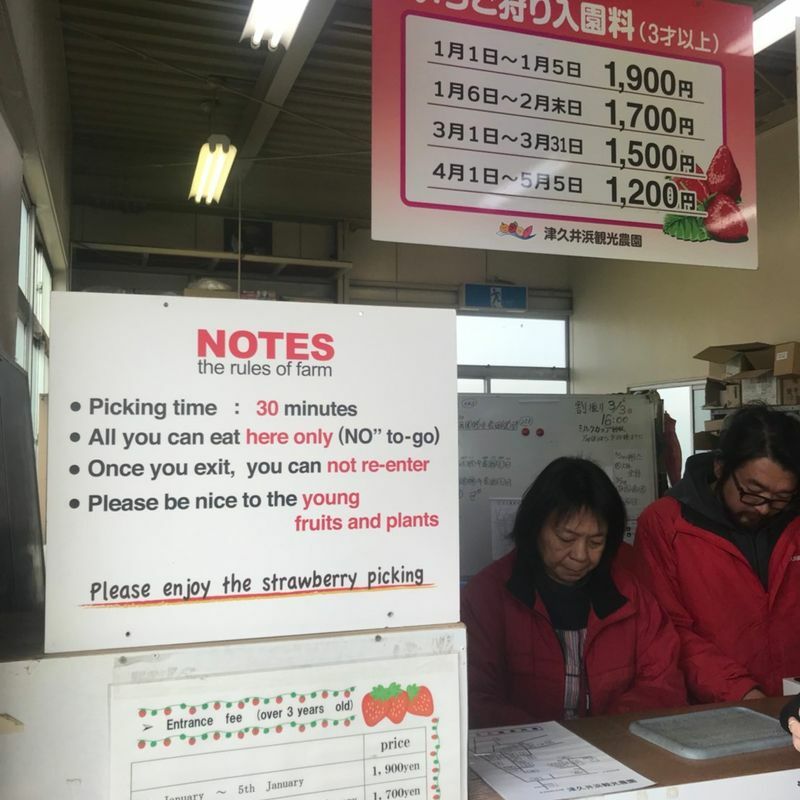 Most places have the strawberry picking for 30 mins all-you-can-eat priced at different amounts depending on the time of season. 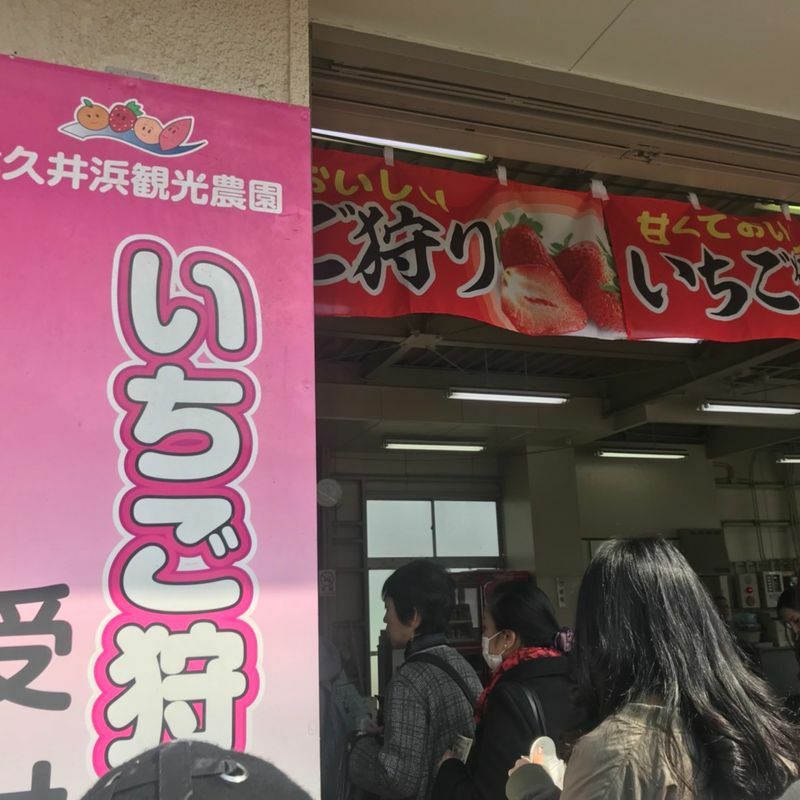 At the start of the season (January), prices are usually around 1,900 yen, they slowly go down a few-hundred yen and by May it costs about 1,200 yen. Although I am from a tropical island, we don't have fruit picking. The closest I got to fruit picking was picking mangoes or bananas from the backyard, or stealing pineapples from the Dole Plantation (just kidding). 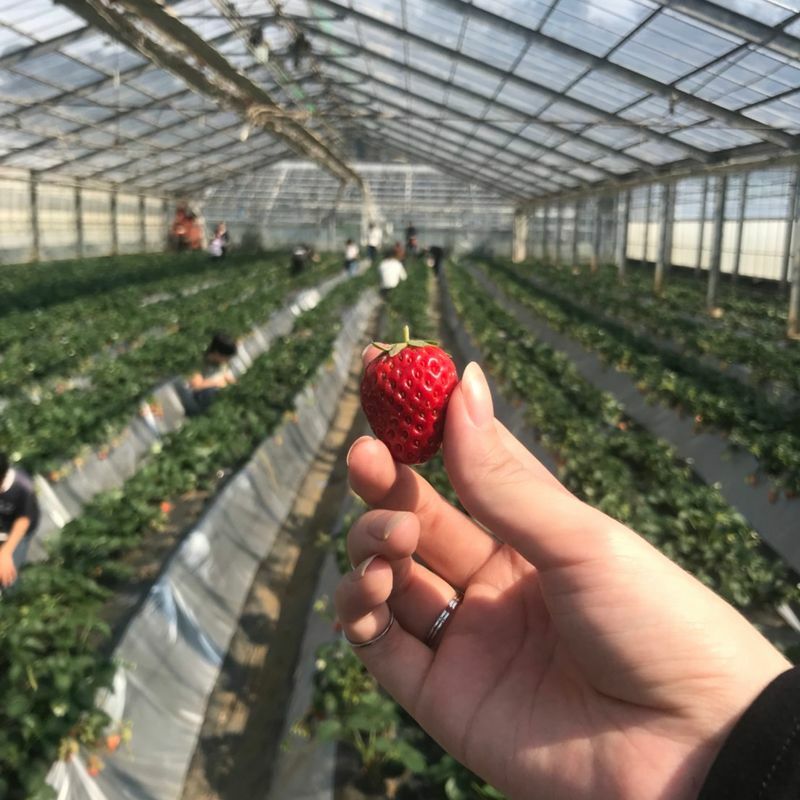 I've always heard how deliciously sweet Japan's fruits are and was so excited to finally get to pick some fruit! 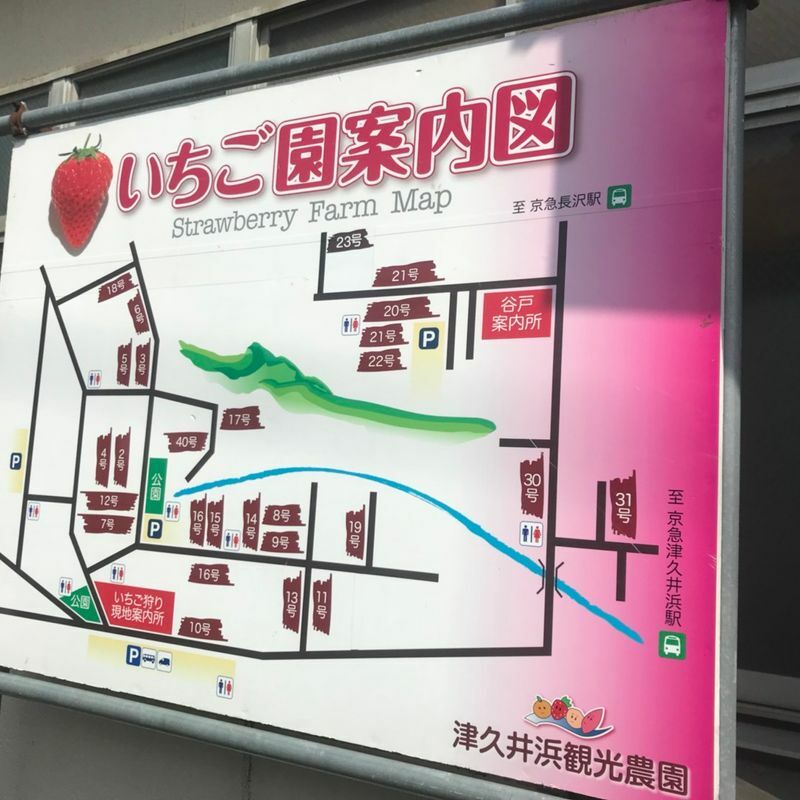 This farm is located near Tsukuihama Station. 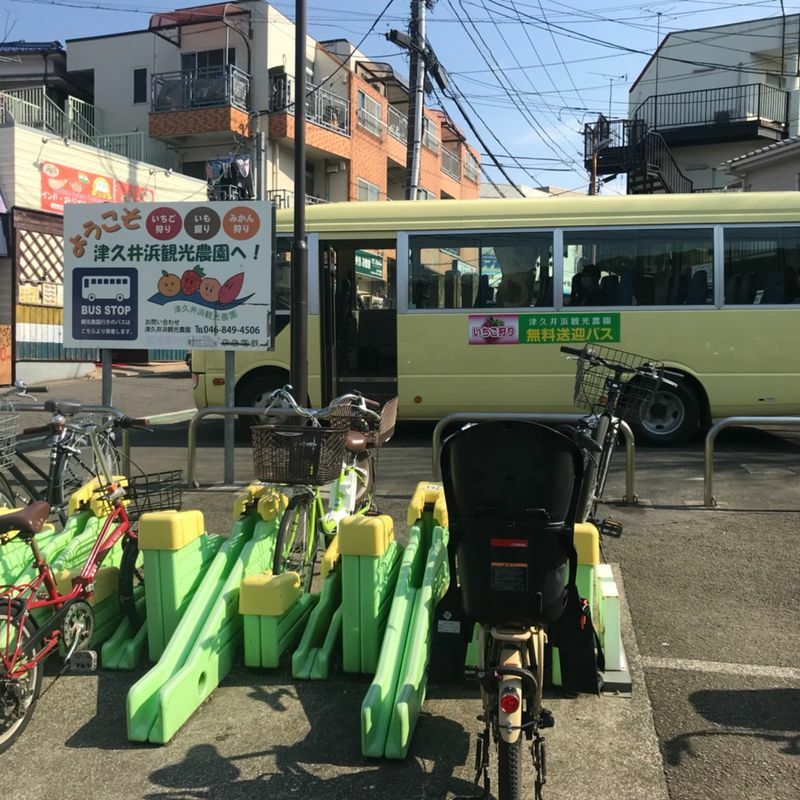 Right outside the station near the bicycle racks, there is a free shuttle bus that takes you directly to the farm. I am not sure how often the bus comes, however I don't think the wait is long since the ride is only about 5 mins or so. 1. Arriving at the farm you will want to check-in at the main open-door building across the shuttle's stop. This is where you will pay. I'm not sure if they accept credit cards, so please remember to bring cash. 2. The workers will assign you a number that corresponds to the area's letter along with an admission ticket. 3. 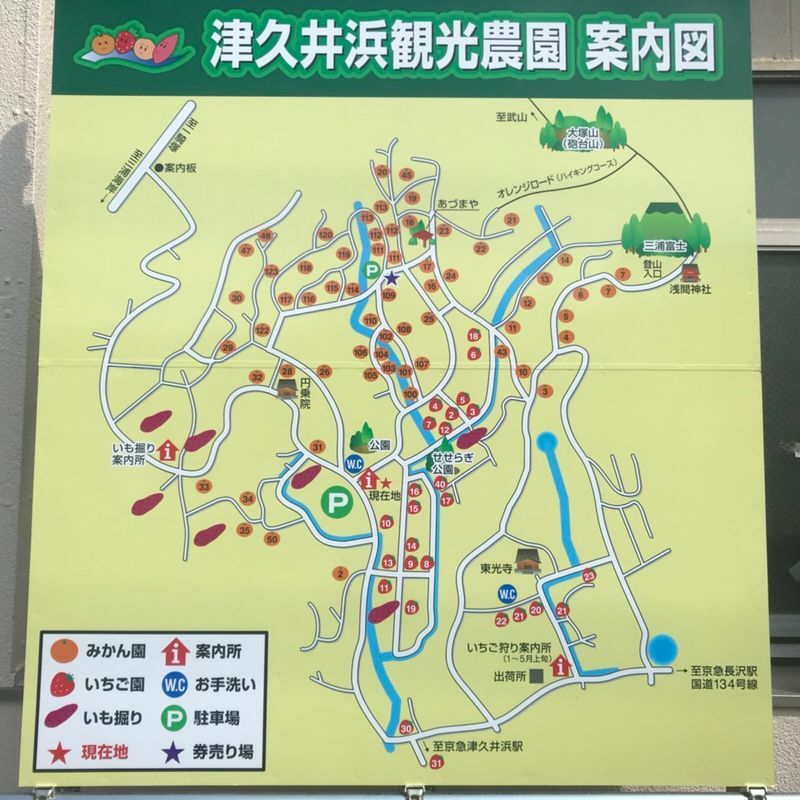 Find the location of your number on the map outside. 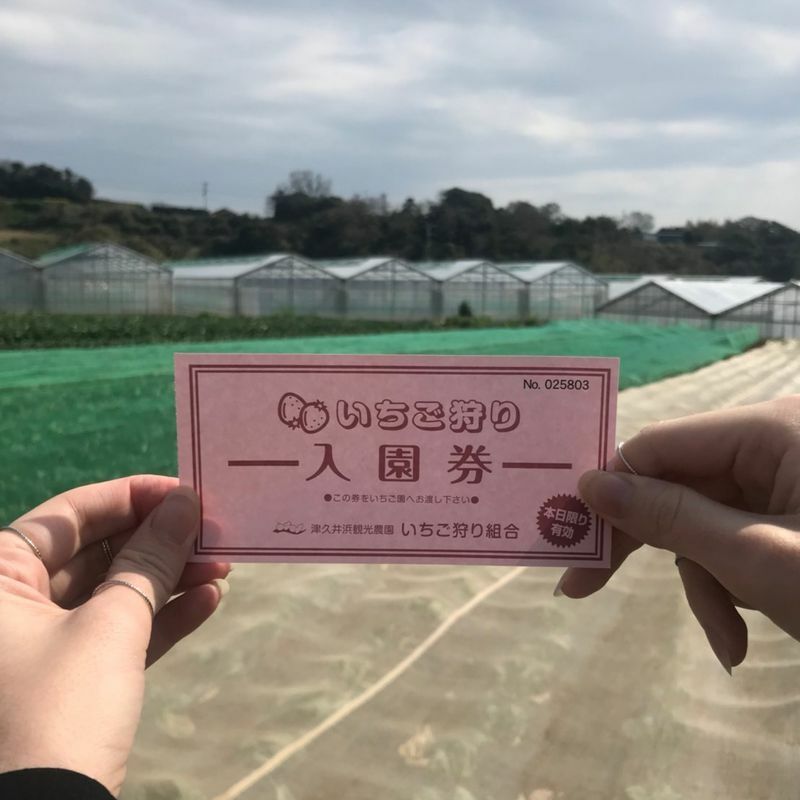 The farm is pretty big, as it also has mikan, sweet potato, cabbage, and more growing in the fields. 4. 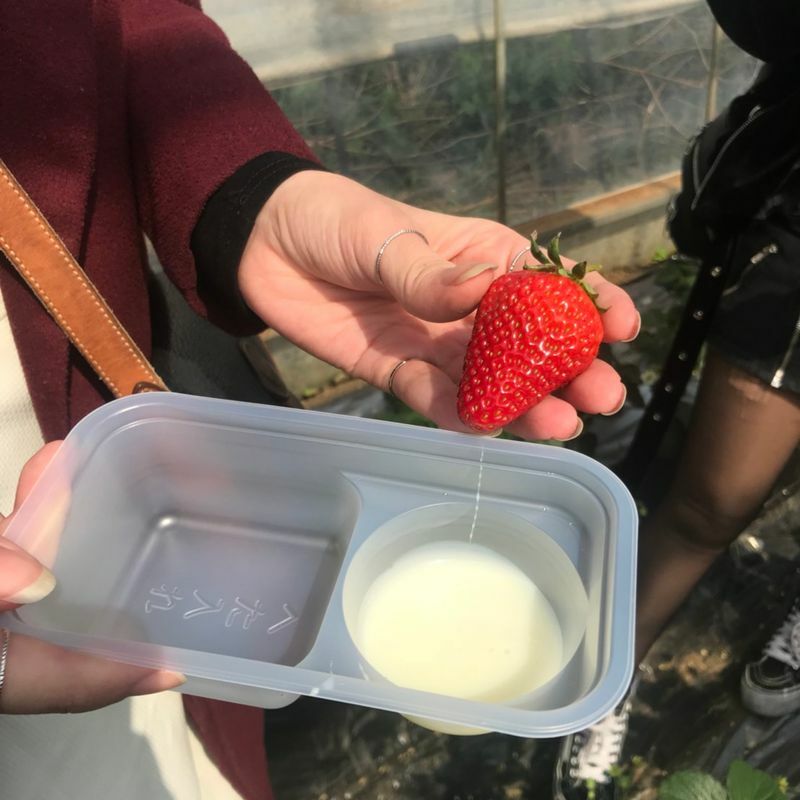 Once you arrive at the greenhouse the cute old grandma will take your ticket and give you a container filled with what looks like condensed milk to dip your strawberry in. The strawberries are honestly so sweet that you do not need to dip it in the sweet milk (unless you love sugar). 5. At last, you enter the greenhouse, pick your lane and start picking away! Be mindful of the young strawberries and be careful where you step. I believe they are open daily. On their flyer it says they are open from 9 am to 3 pm. This experience is definitely one for the books, and very enjoyable for all ages! There were many groups of friends, families, and couples picking strawberries together. It was a nice and relaxing excursion out in the "countryside". 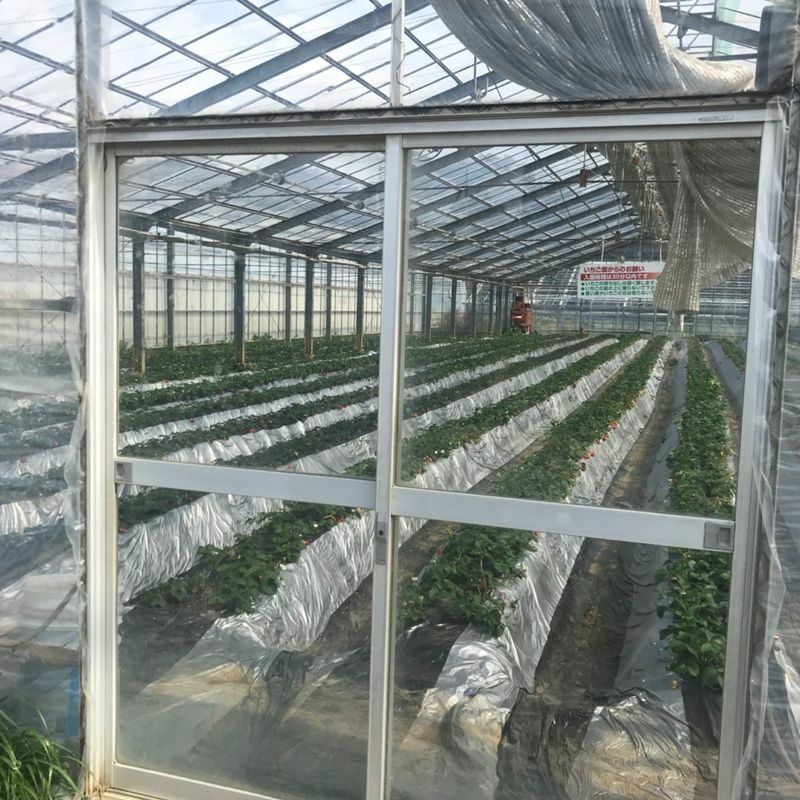 Also, one tip is that the greenhouses are very warm. I was wearing 3 layers and needed to take off my down jacket since I started to sweat. It is smart to stand near the entrance to cool off a bit. 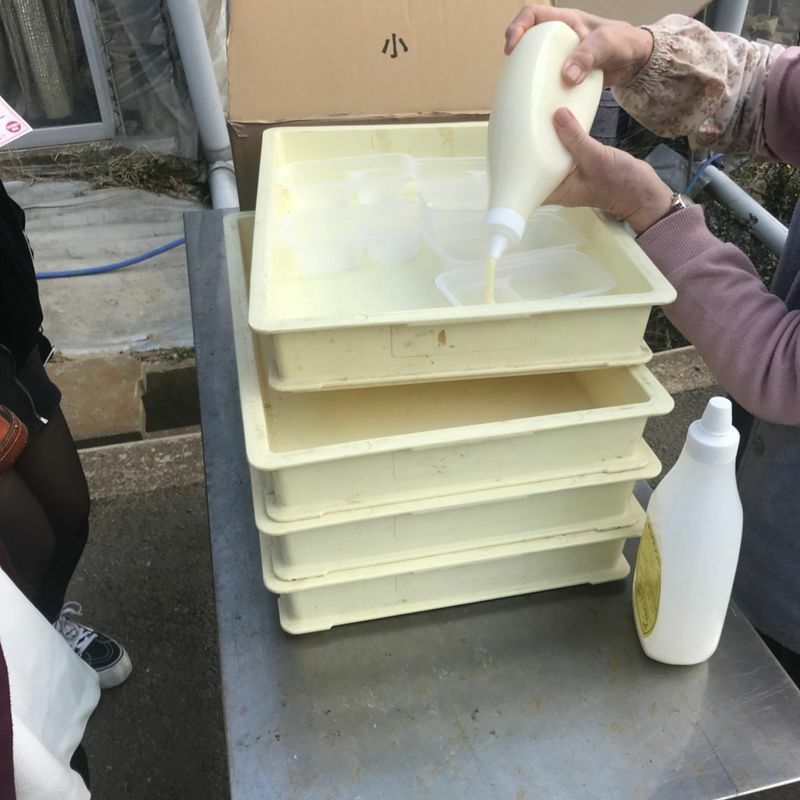 They are also not too strict on the time, which I was very thankful for because I wanted to take many pictures for memories of this great experience. Highly recommended!! So jealous!! I have been dying to go!! :) I am planning on going in May! !